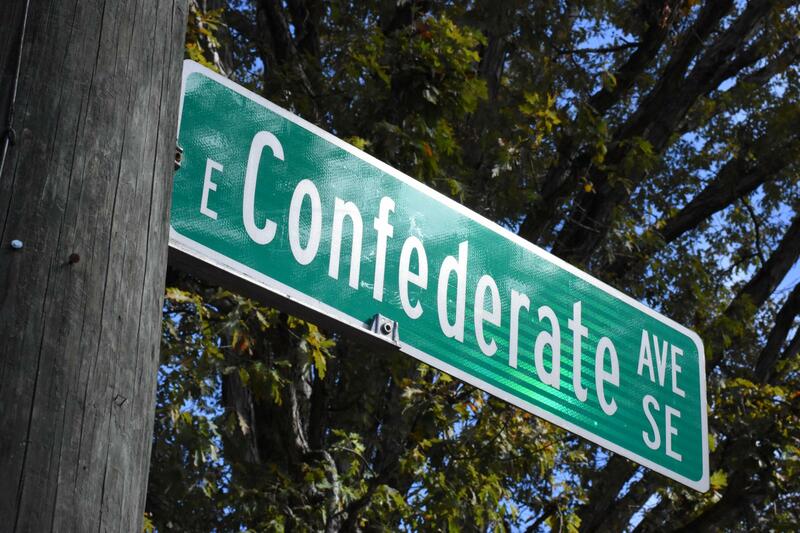 A street sign marks East Confederate Avenue in Atlanta. The cool, crisp air of an Atlanta fall dipped the temperature into the 30s, but inside the Vision Cathedral, the congregation is armed with paper fans to stave off the heat and sweat of hundreds of bodies in motion and in worship. The predominantly-black Pentecostal church sits at the intersection of Confederate Avenue and Ormewood Avenue. But Bishop O.C. Allen and the rest of the church only recognize one of those names. 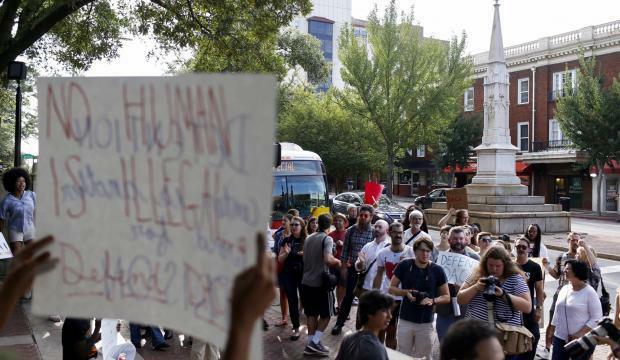 “Because we’re people of color, and of our relationship to words and symbols, we knew immediately that using the Confederate street name as our address would conjure questions and could subtly impact people mentally and emotionally,” he said. The charismatic church leader says the possibility of Confederate Avenue’s name changing speaks to the type of community Atlanta should stand for. Bishop O.C. 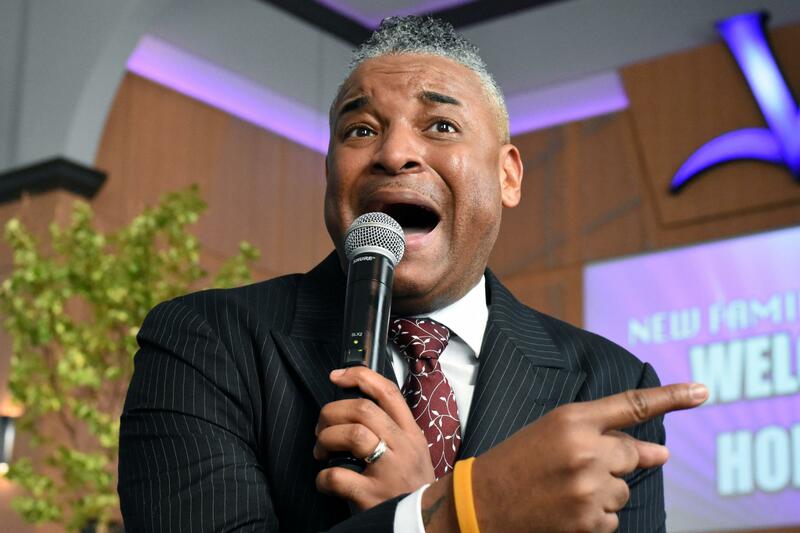 Allen preaches during a Sunday morning service at the Vision Cathedral, a predominantly-black Pentecostal church located on the corner of Confederate Avenue and Ormewood Avenue in Atlanta. GPB's Stephen Fowler talks to business owners and community members on Confederate Avenue, an East Atlanta street that may soon be renamed. It’s a bit more personal for Joe Thomas, whose parents live just a few blocks over from Confederate. He recounts being picked up and dropped off by the school bus on Confederate Avenue. He started a petition to change the street’s name, and the passion in his voice cuts through the crunch of fallen leaves. The petition was spurred by a sense of pride – and embarrassment. He is proud of the petition, which gathered more than 8,000 signatures. Thanks to a committee created by Atlanta Mayor Kasim Reed, the name change may come sooner than later. The Confederate Monuments Advisory Committee recommends contextualizing or removing several monuments around the city and “immediately” changing the names of several streets – including Confederate Avenue. Thomas says those street name changes are necessary, because street signs in particular lack the context to talk intelligently about the history of a name. Midway down the sleepy, leafy avenue is the site of the street’s namesake. The Confederate Soldier’s Home of Georgia housed aging and sickly veterans and their widows from the late 1800s until 1965. Now, it’s home to a slew of state agencies, like the Georgia Department of Public Safety and the Emergency Management Agency. Linda Sharp is one of the owners of Lark & Sparrow, a nail salon on Confederate Avenue in Atlanta. Having anything important located on Confederate Avenue in 2017 is uncomfortable to some community members, like Linda Sharp, one of the owners of Lark & Sparrow nail salon. Soothing music and customer conversations bounce off of exposed-brick walls as Sharp describes being embarrassed by the name when placing orders with vendors or directing out-of-town clients. 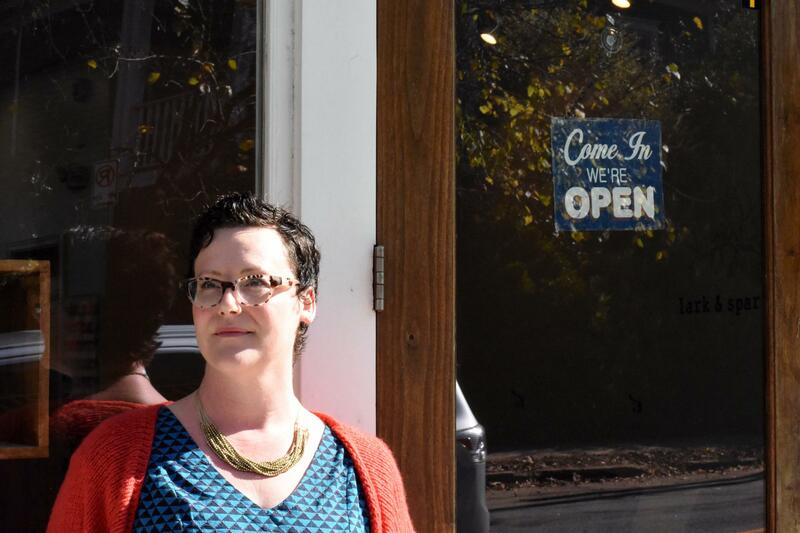 She acknowledges the hassle that comes with a “new” address, like changing business cards, websites and search listings and wonders how other business owners would react. Kurt Gillon owns Balanced Fit Life studio in the space next door, and says personally, he hasn’t given much thought to the name being embarrassing. But now that the Confederate name may be going away, he says it’s getting people to think about the bigger picture. As a black man from the north, Gillon says he knows his perspective may be different than some of his neighbors, but feels open, earnest dialog will be the key to understanding history and making any sort of progress. 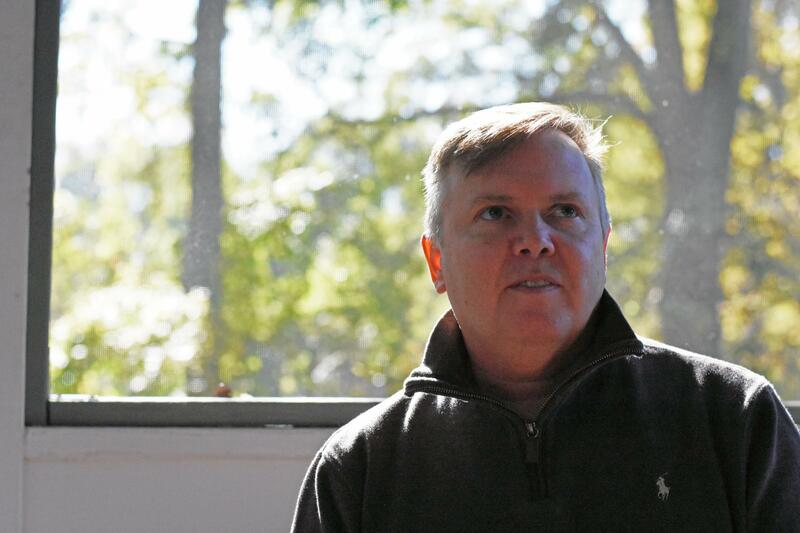 Darren Gillespie has lived on Confederate Avenue for 16 years. 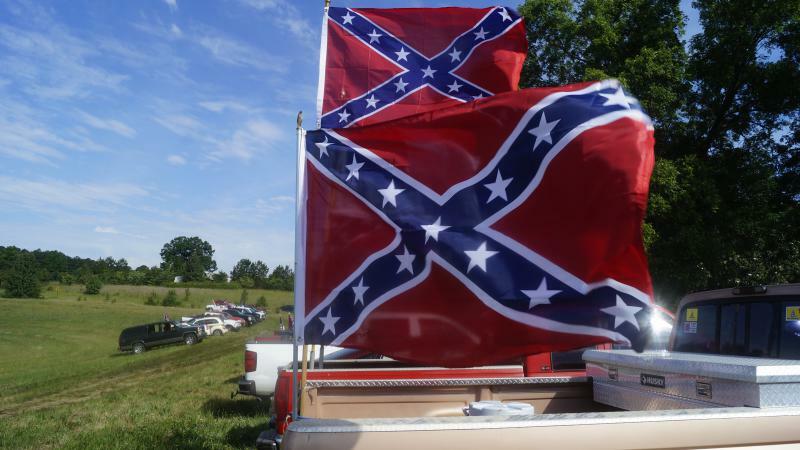 Further down Confederate Avenue, Darren Gillespie sits on his sun-kissed back porch, with his homemade pond burbling in the afternoon breeze. He and his partner Dan have lived in their house for 16 years, and are strong advocates of the community along the East Atlanta street. He doesn’t have any specific ideas for a new street name, but Gillespie says any decisions or changes should really only be done by the people who live there. For at least one day a week, home for many in the community is the Vision Cathedral. Just after a three-hour Sunday service, the echoes of raucous harmonies and celebrations follow Bishop O.C. Allen down the hall into his office. Allen says the church – and the neighborhood as a whole – has rallied around progressive change to better the city, and not just with the street name. But the address of Vision Cathedral will stay on Ormewood Avenue – for now. 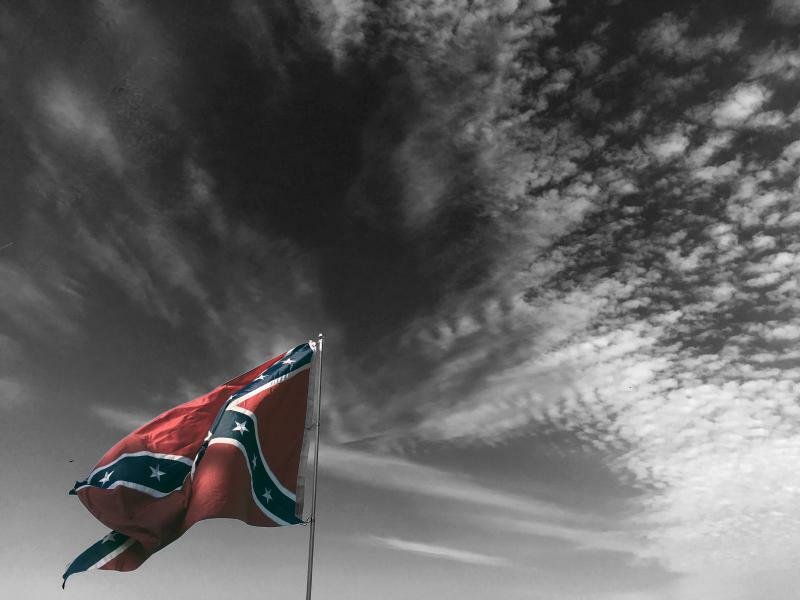 Following the recent events in Charlottesville, a national debate has been raging over what should be done with Confederate symbols across the South. In Athens, and across Georgia, many monuments and markers dedicated to Confederate soldiers persist in daily life.